At a prestigious awards ceremony at HKS Architects in London last week, South African artist Sabelo Mlangeni was announced as the winner of the inaugural Africa MediaWorks Photography Prize, Britain's first major showcase of contemporary photographic artwork from across Africa and its diaspora. The prize, which has partnered with Nataal, awarded Mlangeni £5,000 towards furthering his photographic work. Legendary Ghanaian photographer James Barnor was guest of honour at the event and Mlangeni’s work went on view alongside that of 14 other artists shortlisted for the award. Mlangeni was selected by the judges for his documentary series, Invisible Women. 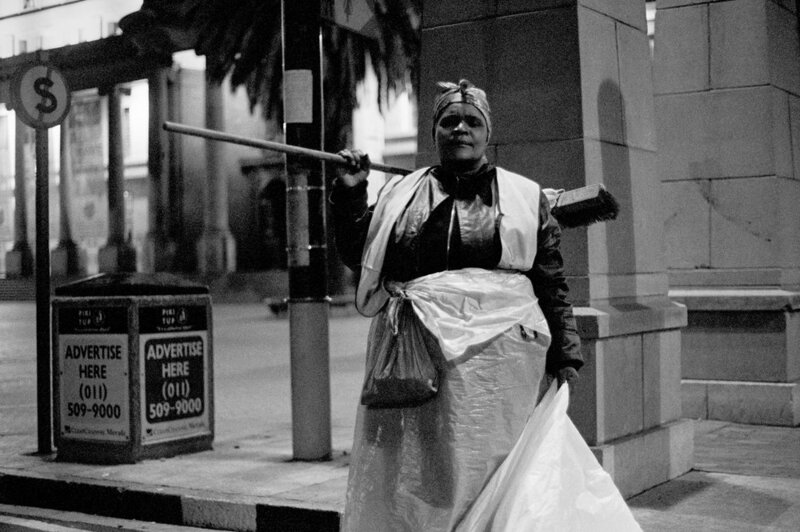 A long-term project that began in 2006, Mlangeni's series depicts the night-time street-cleaners of Troyville, Johannesburg. These images have not been exhibited before in Europe. "In connection with this series, I remember very clearly a Saturday in 2006. I was walking around Rosebank with my portfolio and I had a strong feeling that this body of work needed to be shown and seen by as many people as possible. The important work that the women depicted in the photographs are doing for the community of Johannesburg needs to be seen and recognised,” Mlangeni says. “When I first started making this work, it was during a period when I would walk at night back from the Market Photo Workshop to my flat, and I would always notice how we in the city would leave its streets so messy by the end of the day. After realising how clean the streets were by the morning, my question was this: who are these ghosts who come while we are asleep and clean for us? Read more about the Africa MediaWorks Photo Prize here.